9894 Mission Church Road Locust, NC. | MLS# 2116262 | Provident Living (704) 609-5362 - Jean Griswold - Your Trusted Real Estate Advisor - Call Jean for all of your real estate needs. Heirs selling family home -- great location, easy drive to Charlotte, Concord, Albemarle. 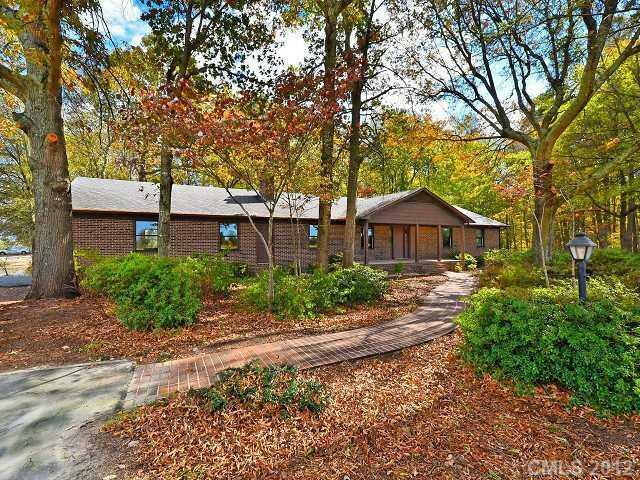 All-brick ranch w/semi-finished full basement (2nd kitchen, bedrm & full bath, living/play area) on 7.2 acres, pasture & wooded. Professionally cleaned, ready to move in. Heated workshop/autoshop plus 2 outbuildings. Wonderful foliage and azaleas surround the house, gorgeous in the spring! Home warranty.